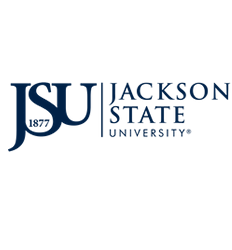 If this is your class year, you are invited to give toward the establishment of a $25,000 Endowed Scholarship For Your Class in the JSU Development Foundation. An endowment is a fund that holds its principal in perpetuity. It’s the gift that keeps on giving because the interest income goes towards student scholarships. The Challenge for JSU Classes Ending in 4’s and 9's is a friendly competition among all the classes ending in 4 and 9. Starting now until Homecoming, all alumni in these classes can start giving toward an endowed scholarship for your class. For Example: If you graduated from the “JSU Class of 1989,” you can go online or mail in your check today and note “Class of 1989 Challenge,” on the check. We will deposit your donation in the designated fund account for your class. If your class members raise $25,000 by Homecoming, the donations will be eligible for the Title III Federal Match – and the total endowment will be $50,000! [If your class is unable to raise $25,000 by Homecoming, the fund will remain open in the JSU Development Foundation for future donations until your class raises $25,000 for the endowed scholarship]. Make your gift today and reach out to your fellow classmates via word-of-mouth, e-mail, text, social media, or phone to start working toward your class’s endowed scholarship. All gifts, large or small are greatly appreciated and will help JSU keep students in school. Make Your Gift Online: Click here to donate. Complete the online form which includes your class year, and make a gift! Mail Your Gift: Make your check payable to the JSUDF and mail it to the JSU Development Foundation, P.O. Box 17144, Jackson, MS 39217. Please write your class year on the memo line. Example: Class of 1989 Challenge. Visit us on Campus: You may drop off your class gift to the Division of Institutional Advancement anytime, Monday-Friday from 8:00 a.m. to 5:00 p.m. We are located on the 3rd floor in the Administration Tower Building on the main campus. REMEMBER! Our goal is for alumni in classes ending in 4’s and 9’s to collectively give toward an endowed scholarship in the name of your own class by Homecoming 2019! We will announce the “Class Challenge” winners during a select Homecoming activity and on the Alumni Relations web site. [This class challenge does not apply to the Golden Class of 1969 that is working diligently to create a sizeable endowed scholarship].